The SMT provides strategic leadership to Wilton Park, offering support and advice to the Chief Executive to ensure the effective running of the organisation. Sharmila has had a varied career spanning medical research, business, technology and the media. 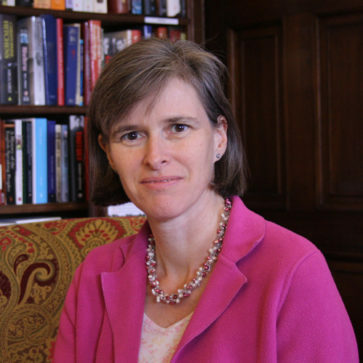 A biomedical scientist by background, before joining Wilton Park she was Chair of the Human Tissue Authority, regulating live organ donation and the use of tissue in research, and also Director of External Affairs for the Medical Research Council, the UK research funder. Sharmila was previously Chief Executive of the Association of Medical Research Charities (AMRC) a policy think tank that represents the interests of most of the UK’s best known medical research charities. Before that she spent 12 years at the BBC, latterly as Chief Operating Officer of BBC Future Media and Technology, managing the business functions of bbc.co.uk including the launch of the iPlayer. She holds a broad range of non-executive roles including Board member for National Savings and Investment, the British Medical Journal and The Health Foundation. Earlier she was Deputy Chair of the Human Fertilisation and Embryology Authority, the organisation that regulates assisted reproductive medicine in the UK and advises on embryo research and related bio-ethics issues. In addition to her non-executive work, in 2007-2008 Sharmila was a World Fellow at Yale University with a specialism in innovation and practical cases in bio-ethics. Sharmila read Physiological Sciences (Medicine) at the University of Oxford and was awarded an OBE in the Queen’s 2014 Birthday Honours List for services to medical research. 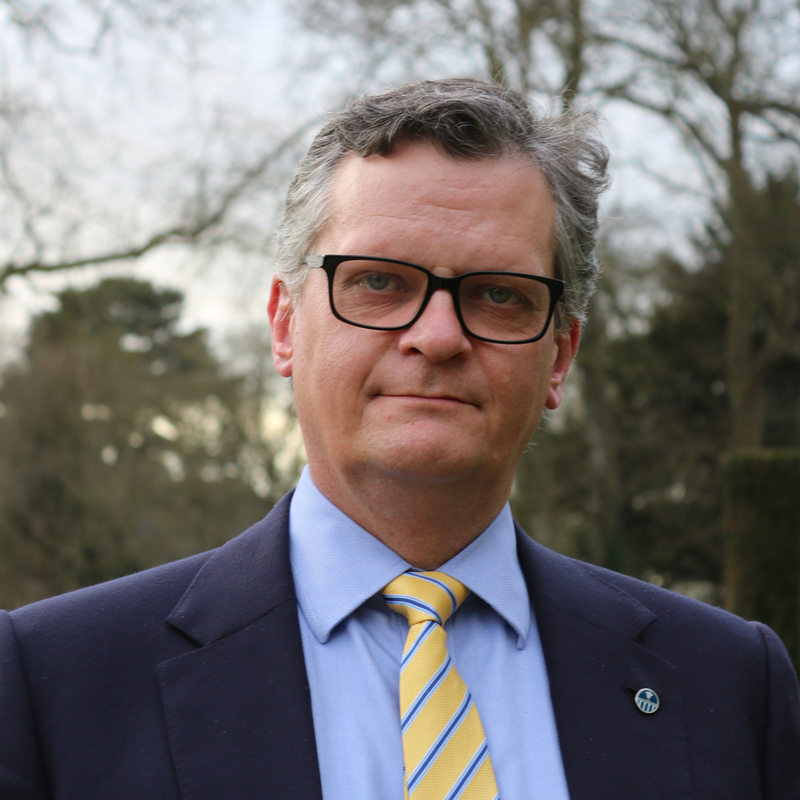 Robin is Senior Programme Director for Peace and Prosperity at Wilton Park and the Sir Heinz Koeppler Fellow. Her current portfolio of events include global health issues, with recent and planned meetings focusing on: disease-specific challenges such as HIV/AIDs, malaria and TB; Antimicrobial Resistance (in human and animal health); and leading a new project on digital health. Robin also convenes discussions on education (including Higher Education and skills), climate change and its impacts and humanitarian preparedness and responses. She ran a three year programme with the Norwegian Ministry of Foreign Affairs on humanitarianism and Disaster Risk Reduction, and a six part series on international food security, agriculture and land use. In addition, Robin contributes to developing events on a wide range of existing and emerging international policy challenges, and has led a selection of young leader programmes including the Caribbean 2030 Forum and the British German Forum (BGF). She is a Director of Bridge International Dialogue, a charity set up by alumni from the BGF. Robin read History at Exeter University (BA Hons) and prior to joining Wilton Park worked at the UK Ministry of Defence. Jo joined Wilton Park in June 2001 where her early positions included Senior Conference Administrator and Communications and Change Manager. In December 2012, she was promoted to Director of Delivery and Communications, and in April 2015 took on additional responsibility as Director of Operations. Committed to continuous innovation, Jo’s strengths include strategic business planning, integrated operational delivery and complex change management. She now leads a large and dynamic cross functional team, overseeing the day to day running of Wiston House as well as operational delivery of all Wilton Park events. Prior to Wilton Park, Jo worked in private sector sales and marketing. As Marketing Manager at Groupe Elis Paris, she was responsible for all sales and new product development in both Europe and Asia, and previously worked for Northern Foods Ltd as National Account Manager / Brand Manager with responsibility for managing a range of accounts across the UK’s top grocery multiples. As part of Wilton Park’s Senior Management Team, Jo shares in the overall leadership of the organisation and is responsible for the effective and efficient management of Wiston House, as well as all other operating locations. A CIPR Accredited PR Practitioner, Jo also has responsibility for internal communications and oversees delivery of the annual Civil Service People Survey. Elise joined Wilton Park in November 2012 as Director of Finance and was promoted to Director of Finance and Corporate Services in March 2015 increasing her responsibilities to include Human Resources and Information Technology. Her key strengths lie in getting to the heart of the business and its drivers and implementing strong and robust financial controls. She was awarded Fellowship of the Chartered Institute of Management Accountants in December 2016. Elise has enjoyed a varied career, running her own business until 1998, where she learnt commercial awareness and financial planning skills. She sold her business to study as a Chartered Management Accountant at the same time as developing her career in finance. Her career path since then has seen her working in businesses ranging from pharmaceutical communications, to insurance, telecoms and the electricity industry. As part of Wilton Park’s Senior Management Team, Elise shares in overall leadership of the organisation and is responsible for the financial planning, ensuring targets are met on an annual basis. She reports to both the Wilton Park Board and the Audit Risk and Assurance Committee. Elise studied Botany at the University of Manchester (Bsc Hons). Mark is Senior Programme Director for Security and Defence. His current programme of work focuses primarily on non-proliferation and disarmament issues, principally: the future for the nuclear non-proliferation regime; international response to deliberate bio-release; constructing effective national and regional biosecurity strategies; countering the illicit trafficking of small arms and light weapons; international cooperation on the clearance of landmines and improvised explosive devices; the future for the non-proliferation and arms control treaties, particularly the NPT, BTWC, CWC and ATT; and the nuclear security architecture. He also convenes dialogues on the future for nuclear deterrence, and international strategies for the responsible use of space. Mark was previously Research Fellow at the Mountbatten Centre for International Studies and Lecturer in International Security at the University of Southampton, and Research Fellow at Swansea University. He studied Politics at the University of East Anglia (BA Hons), and International Politics at the University of Wales Aberystwyth (MSc Econ and PhD).